There is latest buzz that the American car maker could launch Ford Ecosport with Powershift Transmission option as well. The basis of this assumption is that since, Ford had introduced this technology in the Ford Fiesta sedan in India and has lately got much response due to the increase in the number of people who opt for automatic transmission cars. The same experiment, Ford could also do with the Ecosport SUV as well. However, being SUV, there is a general feeling that manual transmission gives you the much needed power to overcome any bad terrain. Though it is only a myth and the present day automatic transmission are as powerful and even more than the manual ones. As per the industry news reports, the Ecosport SUV will be launched in India in late this year, may be this Diwali or early next year. The Brazilian SUV Ecosport that will be launched in India will be the new generation car and will be quite different in exterior styling than the current generation Ecosport in Brazil. 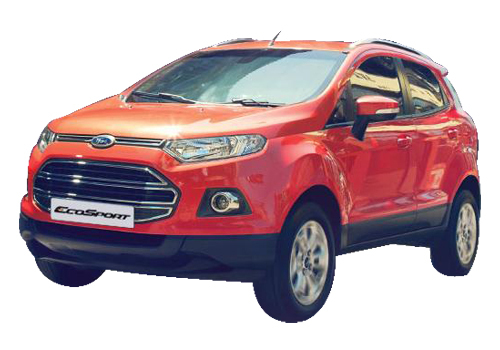 It is believed that Ford Ecosport will be priced around Rs 8.5 lakh. The petrol Ecosport is expected to have 1 L EcoBoost engine while the diesel one will have 90 bhp 1.5 L DV5 engine. The striking feature of the SUV will be its compact size and low price. It will be a five to seven seater car and is expected to establish itself well below the Ford Endeavour SUV. However by the time Renault’s second SUV Renault Duster will also be there and it could be possible that Maruti could prepone the launch of Maruti XA Alpha and reschedule it to this year. In that case, the Ecosport will have a straight fight with these two SUVs besides Premier Rio which will by that time get its BSIV diesel avatar. Fiat is expected to supply the 1.3 L multijet engine to Premier for the Rio SUV.